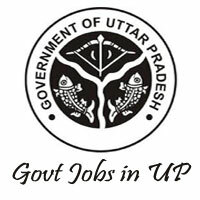 UP Mandi Parishad Jobs Recruitment Notification 2018.Uttar Pradesh Mandi Parishad inviting applications for the positions of junior engineer, assistant engineer, accounting clerk and secretary jobs in mandi committee service, mandi council services.Interested and Eligible Candidates can apply for the positions. Total number of vacancies to be filled in UP Mandi Parishad is 279. Maximum age for contenders to apply is Rs.55 years. Selected candidates for Group-B posts will get pay of Rs.15600-39100/- and GP. Through written test and interview test contenders will be hired. Mode of applying for UP Mandi Parishad recruitment is through online from 18th August 2018 to 10th September 2018.
http://upmandiparishad.upsdc.gov.in/StaticPages/recrutment.aspx is the link for applicants to apply directly.